This Thanksgiving, I’m travelling to work on an innovation project with the Israeli government. (For readers outside of Canada, Thanksgiving Day is the first Monday of October.) As I’m landing in Tel Aviv, the Thanksgiving turkey, mashed potatoes and pumpkin pie drizzled in maple syrup that has so often been a part of my Thanksgiving experience, will long be consumed by my family and friends and the leftovers tucked away. I love Thanksgiving. In Canada, it represents a shift in seasons, the inevitable coming of winter, and a glorious display of the artistry of nature as green leaves turn brilliant colours. For me, it’s also a time to reflect on all that I have to be thankful for. This year, because an innovation project is taking me away from my Thanksgiving ritual, I had to get creative on how I could celebrate. So, I ordered a small pasture-raised turkey from my favourite local butcher and tucked it in my freezer before I left town. It will be a delayed pleasure for my return. And, I thought it would be fun to reflect on Canadian innovations that contribute to how we experience Thanksgiving and which add to our lives all year long. 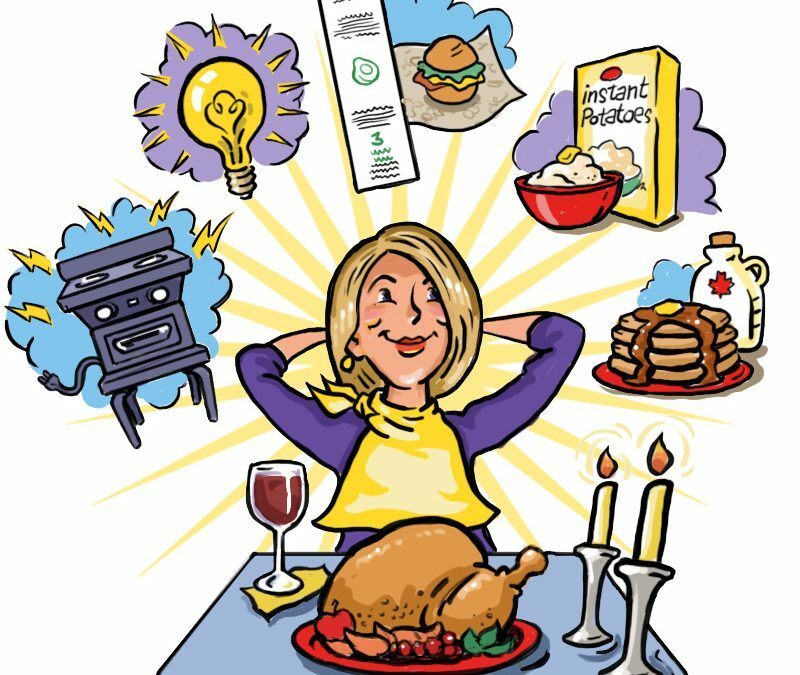 So, to answer the question why is innovation important for society, it’s important because, without innovation, we’d be eating cold Thanksgiving dinner in the dark and we’d be using a lot of plastic wrap unnecessarily to cover the leftovers. 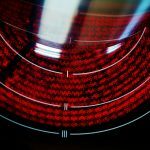 Here are five things you can thank Canadian innovators for this Thanksgiving, gleaned from Ingenious: How Canadian Innovators Made the World Smarter, Smaller, Kinder, Safer, Healthier, Wealthier, and Happier. Ingenious, written by David Johnson and Tom Jenkins to celebrate Canada’s 150th birthday, pulls together a volume of Canadian innovations that have made the world a better place. Share these tidbits with your family and friends around the holiday table. Why am I including the lightbulb in a list of Canadian innovations? 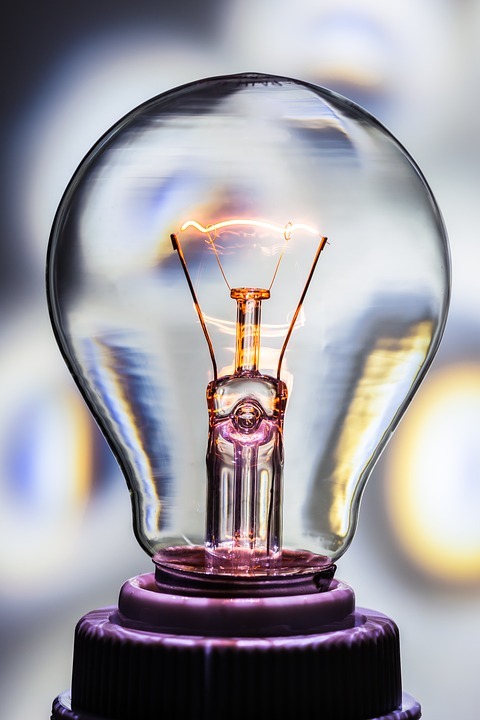 While Thomas Edison gets all the credit, the lightbulb was actually invented by two gentlemen from Toronto in 1874: medical student Howard Woodward and hotelkeeper Mathew Evans. 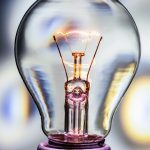 Although their invention was met with much ridicule and doubt over the need for it, Woodward and Evans filed a patent for their lightbulb on July 24, 1874. In 1875, Woodward filed a patent in the United States. Edison thought the invention important enough that he bought the US patent and a share of the Canadian patent as well. And the rest is history. As we sit around the Thanksgiving table this year, let’s be thankful that Woodward and Evans took the risk and didn’t listen to their critics! maple syrup. 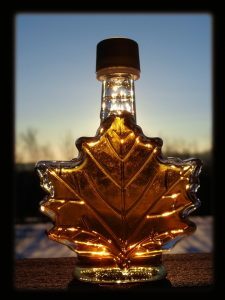 The Algonquin people of eastern Ontario were the first to discover the dietary value of maple syrup; in addition to being a sweet treat that is now an integral part of Canada’s identity, each serving of maple syrup contains a healthy dose of zinc, potassium, calcium and magnesium. European settlers learned how to turn the sap into maple sugar, which became a staple in their households. Since that time, we’ve been looking for ways to speed up the process of extracting the sap, processing it and putting it into bottles. Most recent innovations include tube systems that connect the trees directly to the evaporating house where the sap is processed, saving the farmers a lot of time. If you visit a maple syrup farm next spring, you’re more likely to see plastic tubing than the traditional sap buckets! Struggling to put plastic wrap on the leftovers is a holiday tradition in many households. The only thing it seems to stick to is itself, and then the plastic wrap goes in the garbage after one use. Abeego to the rescue. 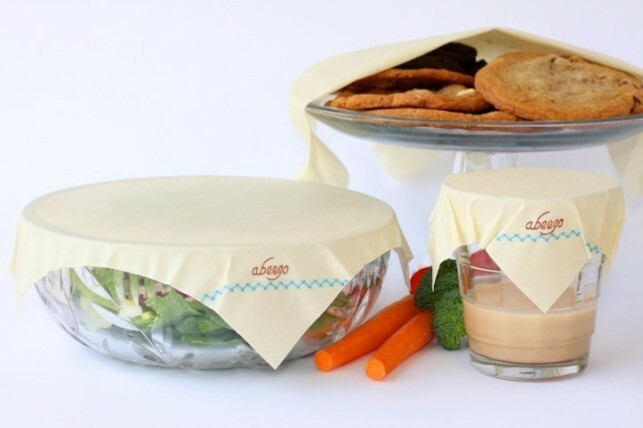 Abeego is a reusable, breathable food wrap made out of beeswax. Invented by Canadian Toni Desrosiers in 2008, it uses the heat of your hands to mould to and stick to the food being wrapped. 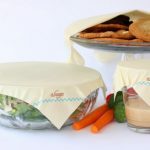 Let’s all be thankful for leftovers kept fresh by this Canadian innovation! Do you like your turkey cooked? Me too, and we can thank Thomas Ahearn, an electrical engineer from Ottawa, who invented the electric range in the 1870s. His range, which he introduced to some dinner guests one evening in 1882, used resistance coils to turn electricity into heat. 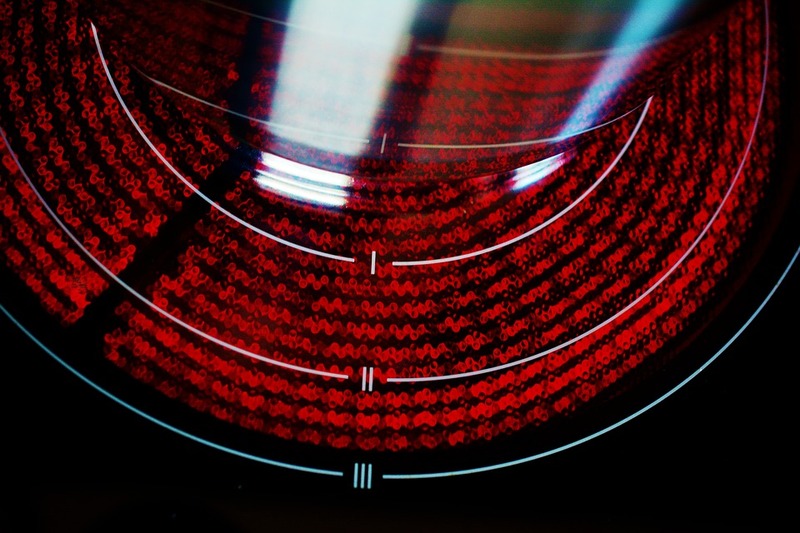 Although most electric ranges today have a flat ceramic stove top, most of us can remember the electric coils on the stove. Unfortunately, Ahearn’s dinner guests were horrified at the idea of their meal being cooked with electricity, and his innovation was slow to catch on; it was ten years before the first oven was installed in Ottawa’s Windsor Hotel. The electric range began to replace gas ranges in the 1930s, as more and more homes were wired for electricity. Although we are now seeing a return to gas ranges thanks to the installation of natural gas lines, we can thank Ahearn for many years of hot meals. 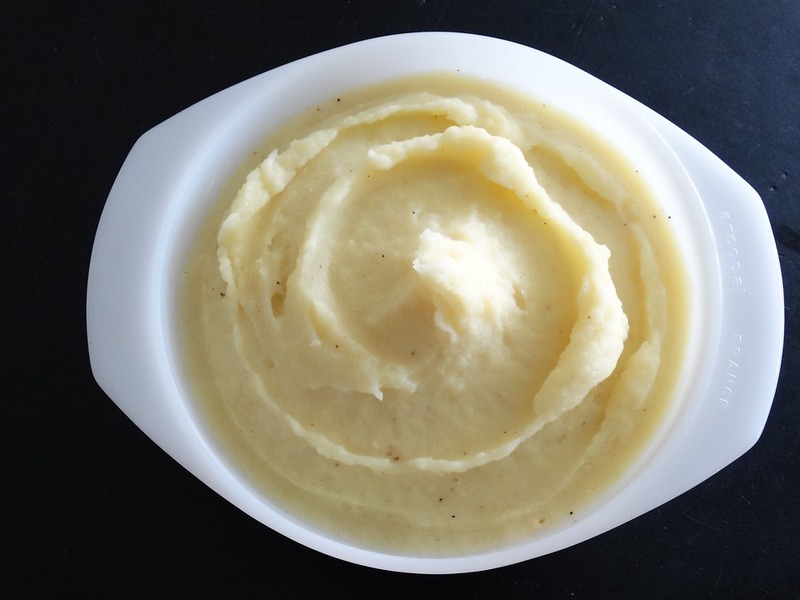 Who hasn’t cheated at least once by using instant mashed potatoes? Canadian Edward Asselbergs is responsible for this time-saving innovation. He invented a way to turn potatoes into potato flakes in 1960 while working as a chemist for Agriculture Canada in Ottawa, and his product reached the market two years later. 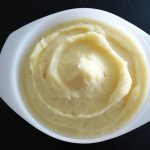 So, even if you prefer your mashed potatoes made from fresh potatoes rather than dehydrated, you can thank Asselbergs for all those instant mashed potatoes served by your mom as you were growing up and for a great convenience food today.